While graphics don't make or break a game, quality artwork with just the right design aesthetic can be invaluable to an adventure game, as we've seen countless memorable times over the years. So often, in fact, you could create a whole book about it. 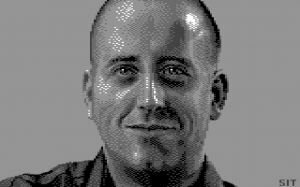 Sam Dyer has produced an extensive catalogue of the genre's rich visual history in The Art of Point-and-Click Adventure Games. The hardcover coffee table book contains a whopping 460 pages filled with decade-spanning in-game artwork and interviews with industry leaders like Tim Schafer, Jane Jensen, Robyn Miller, Dave Gibbons, Simon Woodruff, Al Lowe, Brian Moriarty and many more. There's even a Collector's Edition with delightful physical "feelies" just like in the genre's early days. 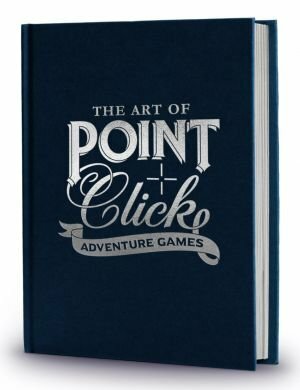 Adventure Gamers has teamed up with Bitmap Books to help promote this stunning collection, which is available now for pre-order – but only for a limited time! Pre-orders will be shipped sometime in August, but if you want to ensure your copy, better act fast! As an added bonus, we are pleased to share our recent chat with the man behind the book himself, Sam Dyer. Ivo Teel: Hi Sam, thanks for taking the time to do this interview with Adventure Gamers! For the people that don’t know you, can you briefly introduce yourself and explain what you do? Sam Dyer: My name is Sam Dyer, and I live in the beautiful English city of Bath with my wife and two children. My first computer was a Commodore 64, which I adored for years before ‘upgrading’ to the Commodore Amiga. It was on the Amiga that my love for point-and-click adventure games began with Lure of the Temptress, Monkey Island and later, Beneath a Steel Sky. I was lucky to grow up in a seaside town packed with arcades; I was surrounded by games and have loved them ever since. Professionally, I’ve been a graphic designer for 15 years and formed Bitmap Books in 2014. It’s the perfect hybrid of two of my biggest passions: design and retro gaming. Ivo: You've launched several books in the past, including ones specifically about the Commodore 64, ZX Spectrum, NES/Famicom, SNES/Super Famicom and so on. What made you focus on a specific genre this time around, as opposed to a particular console or system? Sam: A book focussing on point-and-click adventure games has been something I’ve wanted to do for a while. I was surprised that not many books existed on the genre and saw an opportunity to do something. Over the years I’ve built up a portfolio of books and a decent amount of contacts, so I felt like I was in a very good position to take on such a project. I also felt like I needed the experience gained from such a unique project and I’ve used all the things I've learned from previous books to make this one as good as it possibly can be. Ivo: Could you walk us through the creation of a book like this? What does it entail? Sam: The first thing was to come up with a concept. What kind of book did I want it to be? What would the content and overall style be? 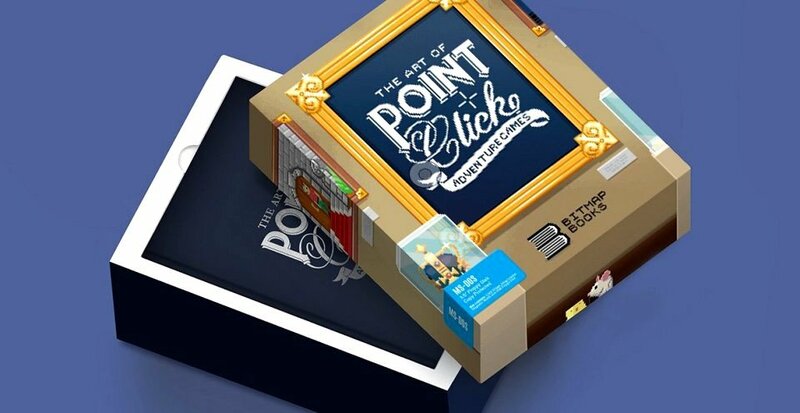 Bitmap Books is very much all about the art side of things; our books are coffee table-style in their look and feel so I quickly decided that I should focus on the art side of point-and-click games – showcasing the wonderful sprite art, animation and background imagery. From that point, I started to build a page plan for the book that included decisions around which games to show, who to interview and any other potential features. The games list started off with just a generic rundown of every single point-and-click title and it was whittled down from there. This was a fun period of playing games that I’d never even heard of, watching long plays on YouTube and reading reviews online. I couldn’t quite believe how many games there were to choose from, so I knew I had a tough job to get the list down to about 200 key titles. This is where I involved other people to canvass opinions and get objective views on ‘must have’ games. Once the list was pretty nailed down, I then started gathering imagery and researching which scene from each game would make a great spread. 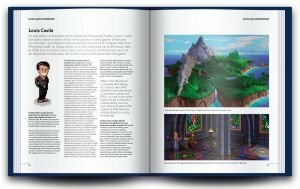 Alongside the games, I always knew that I wanted the book to have plenty of written content which would come from a series of in-depth interviews. The process for this was to identity a list of potential interviewees and then make contact, which was done in various ways. I may have already made contact from a previous book or I’d use Facebook, Twitter and LinkedIn with great levels of success. I also used my network to see who knows who and can maybe do an introduction. Once an interview was agreed upon, it was then a case of writing a set of questions and emailing them over. Some people prefer to use Skype instead of email, so in these instances we simply agreed on a time and recorded a Skype conversation. The audio was then transcribed. Once they were returned, the raw interviews were edited to a set pre-agreed word count. We decided early on to have two tiers of interviews – big interviews (4,000 words) and smaller ones (2,000 words). This way, if we didn’t get as much text as we would have liked, it didn’t matter and it could become a smaller interview. The system worked incredibly well and we ended up with around 40 interviews. The caliber of the interviews is staggering and we have some fascinating insights from familiar names such as Tim Schafer, Louis Castle, Jim Walls and Robyn Miller. Also in tandem with the interviews was the generation of the game page captions. My role involved lots of juggling and organisation to ensure that all the content came together at the same time. Once the content was done, it was really a graphic design job to pull the whole book together – bringing it to life with imagery and typesetting all the words. By its nature, the book is very text and image heavy so it was a big challenge to get everything to fit and not to look too cluttered. It was also at this stage that I ran draft page designs past a few people to get more objective opinions such as ‘Does this image choice do the game justice’ and so on. Suggestions came out of this phase and design tweaks were made. All the while, the book was changing and evolving little by little. When the content was all designed, the book went to a sub-editor and then a proofreader to mark-up any typos and grammar suggestions. These amendments were then made in the design and I was left with a pretty finished version of the book. From there, it was just last minute final tweaks from the interviewees and then sending to print. In choosing art for the book, this classic scene from Monkey Island 2 was a natural fit. Ivo: How were you able to get all the resources and art into the book? How did you decide what to add into it? Sam: This was really tricky and probably took the most time. Very early on I came across the excellent Adventure Game Backgrounds run by Patrik Spacek. His site is full of background imagery from many adventure games and he agreed to allow us to feature them in the book. We also approached other archival sites such as Sierra Wallpaper and Adventure Rooms, who also kindly allowed us to use their in-game imagery. This was a great base from which to start when it came to gathering screenshots. The majority of the imagery came from simply playing games and taking endless amounts of screenshots and going through them and deciding which ones to go with. We even ripped graphic files from some games; whatever it took to get the best images from the required parts of the games! As far as deciding what goes in, it’s just kind of a mixture between a 'designer's eye' (what would look good on a page) and what sums that game up. There’s some trial and error, but normally you know instantly when you’ve nailed the perfect image. An example of this is Monkey Island 2. 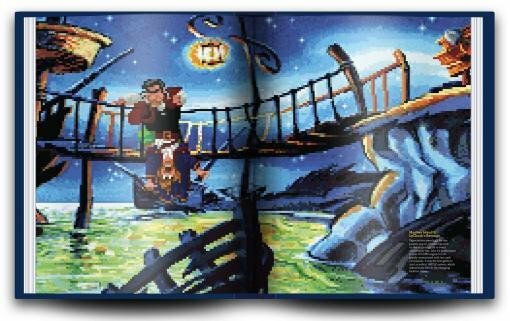 The opening spread for the game features Largo hanging Guybrush over the Woodtick bridge – a classic scene that everyone remembers. Visually, it’s a great composition and just ‘works’ really well on a spread. I could be wrong, but those look like screen shots from Last Crusade, not Atlantis. You’re absolutely right, PetBla. Got our wires crossed with the publisher there. Well spotted! That link is dead (404) -anyone knows what happened to the book? The pre-order has closed and it will be available for ordering in September again, so that might be why there was a short hiccup? The link was dead, but after I informed them about the issue, they fixed it.